My current ‘Day Rate’ is available upon request and may be adjusted dependent upon the nature and length of the proposed project. My HR Retainer Service is designed to support you and your management team in dealing with HR issues and to give you peace of mind that your business is compliant with HR legislation. 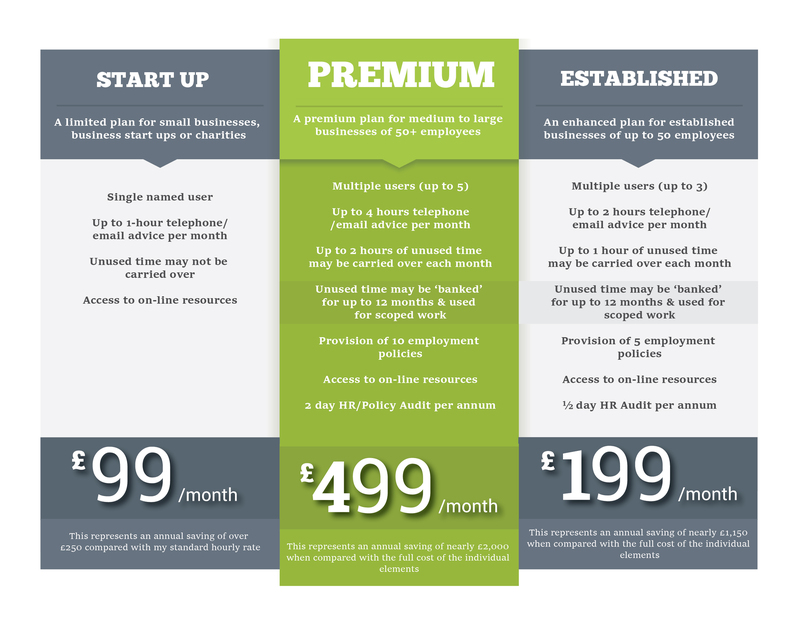 For a small fixed monthly fee, I will offer responsive, pragmatic and business-focussed advice to one or more users. I recognise that managing HR situations in the workplace can take up precious time and often leaves line managers feeling frustrated or unsure about how best to resolve these situations. Some HR issues are ongoing (e.g. performance management, absence cases, redundancy, policy implementation) and others arise suddenly and unexpectedly (misconduct, employee grievances, policy queries) – my HR retainer service covers all these types of HR issues. Once you have decided which level of service you require for your business, the agreed users will be able to contact me for advice on any aspect of HR or employment legislation. I will be available during normal working hours (excluding Bank Holidays & advised holiday periods, where alternative arrangements will be put in place). I will normally respond via email but am happy to discuss issues on the telephone if you prefer. I guarantee a response within 48 hours and normally within 24 hours (… or much quicker!). Can I have “on demand” advice without the Retainer Service? If clients decide not to buy into the Retainer Service I will continue to offer telephone and email advice. This service will be charged per 15 minutes. This advice will be invoiced on a monthly basis. Monthly fees should be paid by direct debit on the first calendar day of each month. If I consider that the request is too detailed to be responded to via email or telephone I will discuss this with you, and if necessary agree to the relevant scope and fees of the engagement. As an indication, matters requiring more than 30 minutes discussion with the HR Consultant might be identified as requiring a separate specific engagement. It is your responsibility to decide whether or not to follow my advice, its applicability to your specific circumstances and how you decide to implement that advice within your organisation. Either party may terminate this Agreement by notifying the other party in writing with 30 days written notice. 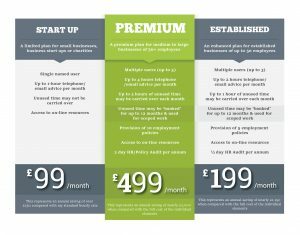 For ‘Established’ & ‘Premium’ service users, any unused time may be carried over in 15-minute blocks.